Next week I’ll be inside “the zone” in London, meeting with the good folks at Penguin, doing a bit of Top Gear-style go-karting, going up to Nottingham to take the ‘theory test’ at the Driving Standards Agency, traffic-spotting some favorite puffin and pelican crossings, zipping round London with some big-brained taxi drivers, and basically trying not to let happen to me what happened to Winston Churchill when he came to Liberty City, er, New York. Comments Off on Penguins, Pelicans, Puffins. Click here to leave a comment. The first thing to note is that in the world of traffic, every case needs to be taken on its own; so without extensive study of the flows and geometries of that particular intersection, it would be hard to offer concrete analysis. And I’ve not seen hard-core studies analyzing human control versus signalized control (but if anyone has, please let me know). The second thing is that I’m instinctively sympathetic with traffic cops; after all, the only thing more dangerous than driving in traffic is standing in the middle of it. 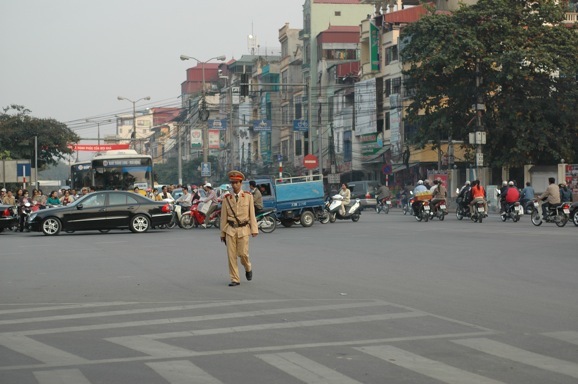 I must have spent an hour watching the police in Hanoi do their work at a massively tricky crossing, as pictured above. And Paul, you may feel better about the NYPD’s traffic cops after reading this New York Times piece. 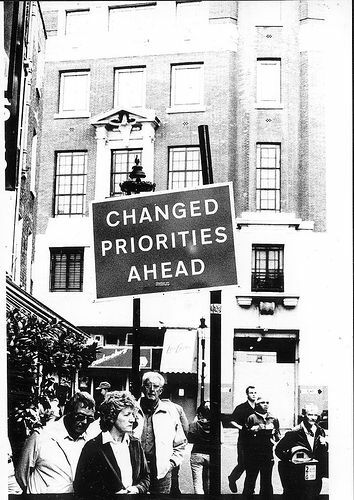 Comments Off on In Defense of Traffic Cops. Click here to leave a comment.